Songs are really tricky little things to get quite right, we've all got that blighter that has just got the wrong title for some reason or another and we've added the track to out phone, wrong title and all. If you really want to correct the name it's surprisingly easy by using your phone to correct the title. Firstly we need to go into the "My files" application, to find this you will need to search through the Application drawer. As you can see in the image to the right it looks like a folder with some files in though it should be easy enough for you to find. After opening the "My files" you will need to locate your music folder. In my case the location is in a sub folder and to find it I need to click on "Samsung" and then "Music" (though many people will have had a more logical route to there music). After you've done this you will see a list of all the tracks in the folder (see screen shot to the left). From here you have two options, one is by pressing the menu button and then click "Settings", "Rename" and then find the track you want to rename. Alternatively find the track you want tore name and give it a long press so a list of options comes up (like the screen shot on the right). Here you should click "Rename" and change the song title to the correct one. 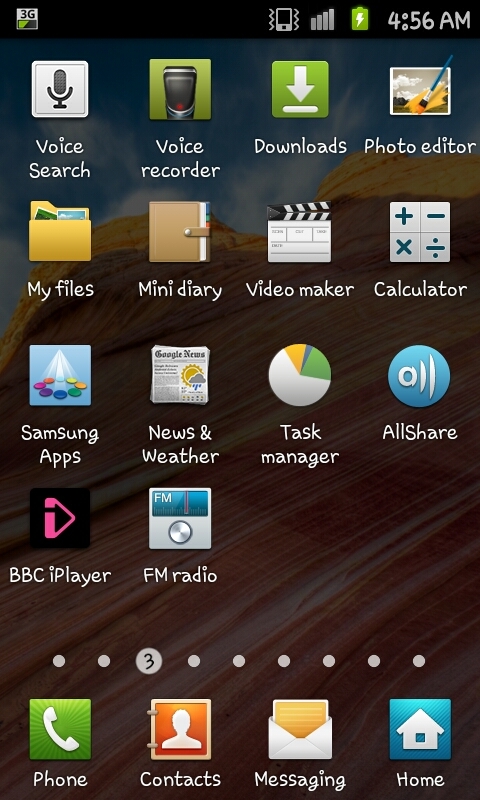 As well as renaming songs you can also rename videos and photographs on your phone. To do this you need to select the correct folder (for example DCIM-> Camera for photographs) and find the file you want to rename.